Makigami Koichi have organized a Japanese tour of a European group called Food in April. 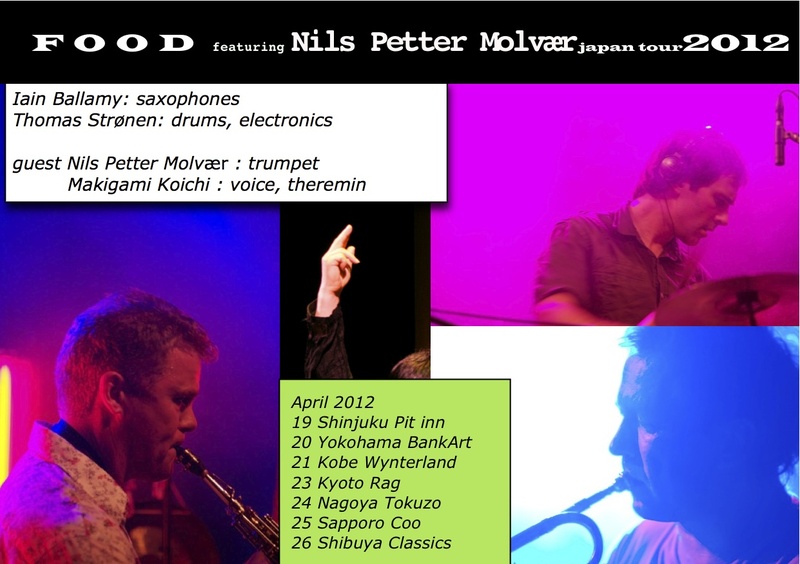 Food is a musical unit of contemporary jazz and improvisation, consist of Thomas Strønen on drums from Norway and Iain Ballamy on saxophone from UK. They have released six albums, the latest is called Quiet Inlet on ECM. This tour was originally planned in April last year, but cancelled due to the obvious reasons. The members never forget that and have decided to do it again. We have to thank them for that. Attend the gigs and show your appreciation.